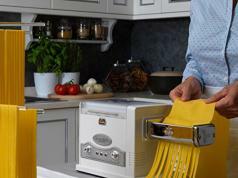 Here is another powerful machine that lets you make all kinds of pasta at home. 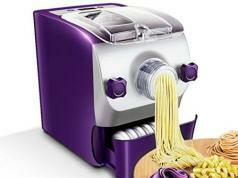 The Jian Ya Na Electric Pasta Maker comes with roller and cutter adjustment knobs. 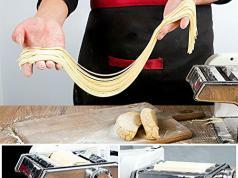 You can adjust the width of noodles and thickness of the dough. 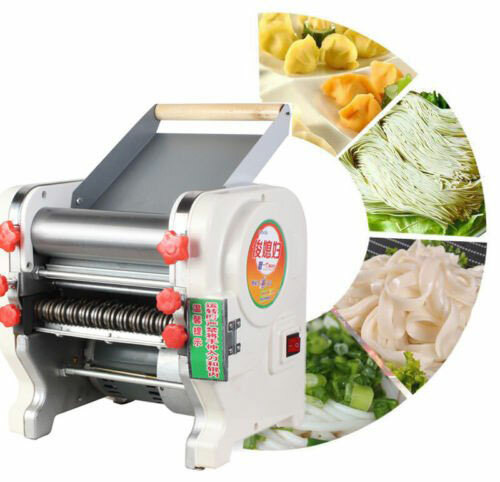 This 750W machine measures 380 * 310 * 360mm. Useful for making veggie and other types of pizza.